In the world of light bulbs LED bulbs are still a pretty new invention in all honesty. They have come a long way in the past few years and are now able to compete with CFL type of light bulbs. Experts are even claiming that it was actually more cost-efficient to just outfit your home with LED bulbs then it is with any other type of bulb out there. So what brought about this huge change when LED bulbs used to actually be the way more expensive type of bulb to use. Are LED bulbs right to your home and will they save you money? With this matter, we are going to look at different reports that we’re going to take into account in order to figure out what you’re probably going to save on these bulbs. First off, we’re going to look at the single price of an LED bulb. 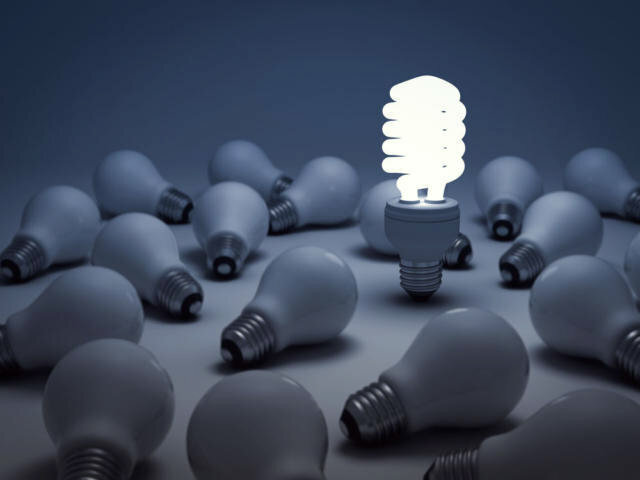 It is said that you will only use 11.5 cents every kilowatt-hour with an LED bulb in comparison to $1.17 that you will spend on a CFL bulb every kilowatt hour. That is actually a pretty huge difference in savings when you look at it. While a dollar more may not seem like a huge step. In the long run, you’re going to find yourself spending about a dollar per year on each LED bulb you have in yourself compared to $5 per year CFL bulb have you at your house. So let’s do some math to see if it’s worth it. Let’s say you live in a house with about 15 light bulbs. This is guessing that there are two light bulbs in your bathrooms. You have several 3 bulb fixtures in your house for example fanlights. Let’s also include 3 variables that may be in different places throughout your house. If you use a CFL bulb you are going to be paying about $75 per year. On the other hand, the LED but will only run you exactly $15 per year. For every LED bulb you add you’re only going to pay only a dollar. That’s a $60 difference at the end of the year that you could use for something else. Not only that, but LED bulbs generally last longer than CFL bulbs. 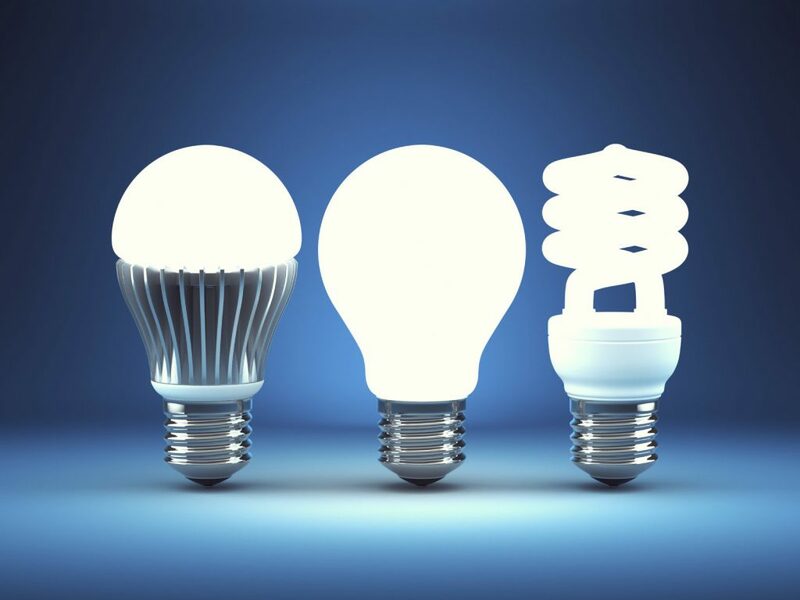 LED bulbs have a rated lifespan of 50,000 hours, about 50 times more than a typical CFL bulb. The only bad side to LED bulbs is that LEDs will fade over time and how much light LED bulbs are putting out will be affected. Still, this is going to help you figure out when you need to replace your light before it goes out unlike a CFL bulb, which just stops working when it burns out. Again let’s use some math… if you use a LED bulb for 12 hours a day which is way more than for how long you’re probably going to use your LEDs in reality, your bulb can last up to 11 years. Of course, this is after I take about a year off due to the fading of LEDs. But that’s still pretty impressive for anybody who’s money savvy and wants to save as much money as possible. Another huge advantage of having a LED bulb is the fact that even if you drop them they’re less likely to break. LED bulbs do not have a filament like CFL bulbs do. The filament in CFLs is quite easy to break if dropped because it’s not made out of a very durable material. In turn, LED bulbs actually aren’t hollow at all. Meaning the bulb is completely solid, unlike CFL bulb. CFL bulbs are hollow inside meaning they can’t take much force if dropped. Because of this, they’re more likely to come out of the box broken as well as transportation can be rather hard for CFL bulbs. LED bulbs also can be switched around and used in low-power outside light fixtures. Since LED bulb consumes so much less energy than CFL bulbs do, they can be transferred around and used to things you would never dream of using CFLs with. These bulbs also don’t get hot like CFL bulbs do which means that you’re not as likely to burn yourself if you accidentally touch the LEDs while they are still on. This can also help reduce the use of your air conditioning because by putting out any extra heat sources throughout the household, it will naturally be cooler and therefore you won’t need to run your AC as often. On top of all that LED bulbs are completely mercury-free and actually safer for you and for the environment. And if that’s not enough then you should know that LED bulbs actually come in several different colors, which makes them more versatile. You can get red, green, blue, white, and amber colored LED bulbs to put in your room. Or even LEDs that change in color. Which means that LEDs give you more options when you are decorating your home or putting on a party. And you can easily switch things up in your space because these color bulbs cost about the same as regular LEDs do, so they are a great way to create a colorful ambient environment without spending a lot of money. Overall, LED bulbs are far superior to CFL bulbs (or to any other type of light bulb really) when it comes to saving you money and other lighting-related aspects. LEDs have found a way to be not only durable but cheap as well as even buying the bulbs at their full price is cheaper than how much CFL bulbs now cost. On top of that, there was a lot more customization that can be done when you are using LED light bulbs, due to all the colors that LED bulbs to come in. Also, environmentally LEDs are more friendly because no substances like mercury are used in their production. Meaning that disposing of LED light bulbs after they’re done is a lot safer for the environment as well. If these aren’t reasons enough to switch to LEDs, these bulbs are also very portable and versatile. For example, if you need to go out to your workshop and use a battery-powered lamp, then you can take your LED bulbs with you because they will actually work in any type of light fixture since they do consume such low amounts of wattage. What is Light Reflectance Value?